Wow, I knew it had been a long time since I've blogged, but I didn't remember just how long it had been!! This gives a good indication of the level of creating that happened for me over the last year --- not much. It was a year of transitions (as every year is, of course), of shifted focus and of inertia. I packed up my amazing workspace on short notice, and haven't quite unpacked it fully. Yes, that's a mattress serving as my design wall, in our second bedroom that's been converted into my sewing room. I did very little quilting throughout the year, though put more practice into making garments, bags and sundry, mostly for Cool Cottons shop samples (and cute Alberta Street Pencil Skirts for me!). Earlier this week I decided to get back in the swing of things. I chose to lapse my membership with PMQG in 2016 (though honestly have been inactive for the better part of 2 years) for a number of reasons: discontent with the relations between the local guild and the national, lack of creative impulse, a disconnect from the community in general, among others. But recently I've been thinking that we now need to embrace the communities that mean something to us, those which we would feel the loss if they no longer were there for us. 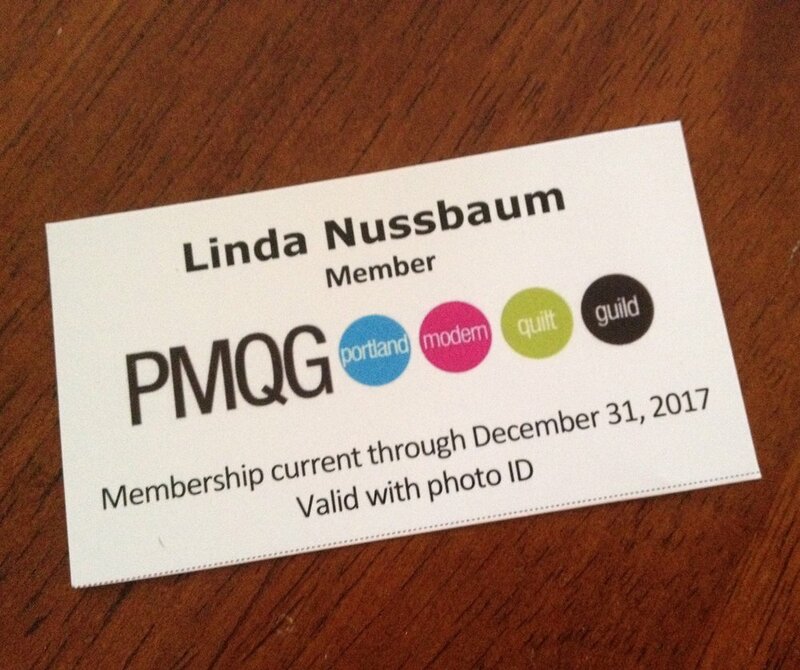 So Thursday morning I renewed my PMQG membership just hours before the first guild meeting of the year. And it seems like it was the right decision for me at the right time. The meeting Thursday evening left me feeling invigorated and inspired, with a sense of belonging that I didn't feel at the same events 2 years ago. I'm sure a large part of that is my own perception and attitude, but that just confirms for me that now is the time to reconnect and build these ties. I won't make any promises that I will get back to blogging regularly, but I do intend to make an effort to get back to creating regularly, which will give me something to blog about ;) So, thank you to those who take an interest, and especially to my community of creatives who keep me inspired and make me want to contribute to the world they are creating.